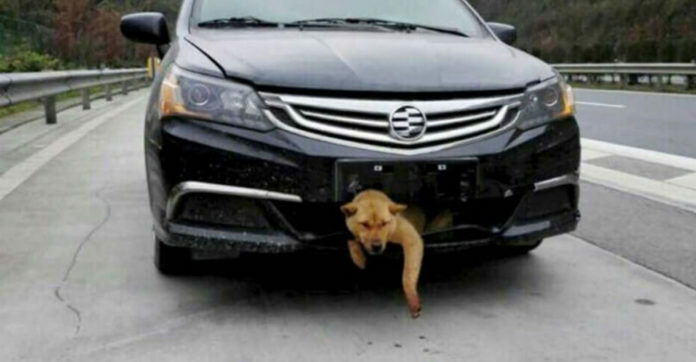 In China, a driver accidentally hit a dog with his car. He thought it ran away, and was presumed to be dead. But it wasn’t, much to his utter surprise. The dog was smarter than he thought. 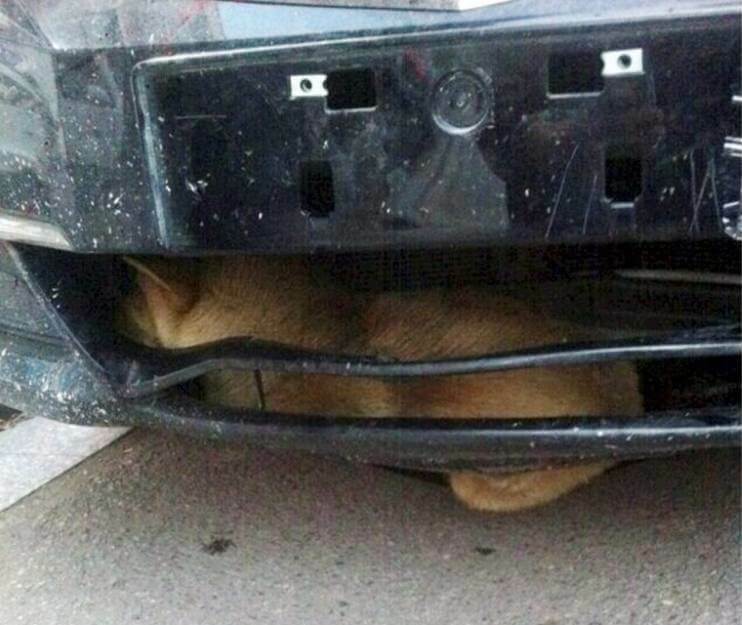 Instead, the dog’s instant recoil sent him underneath the man’s car, in between his front bumper! The man heard barking coming from the outside, and traced it downwards. Alarmed, he got his friend to help get the pup un-stuck. 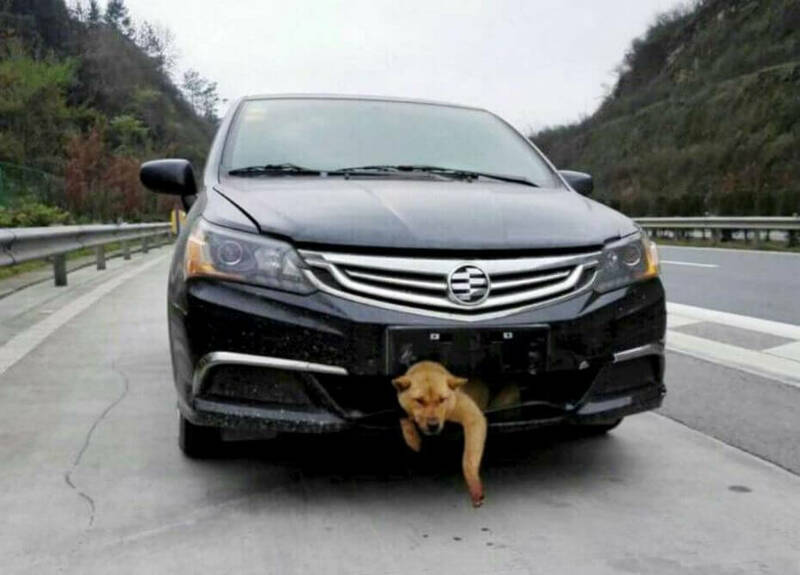 The dog wasn’t injured – it was just stuck. 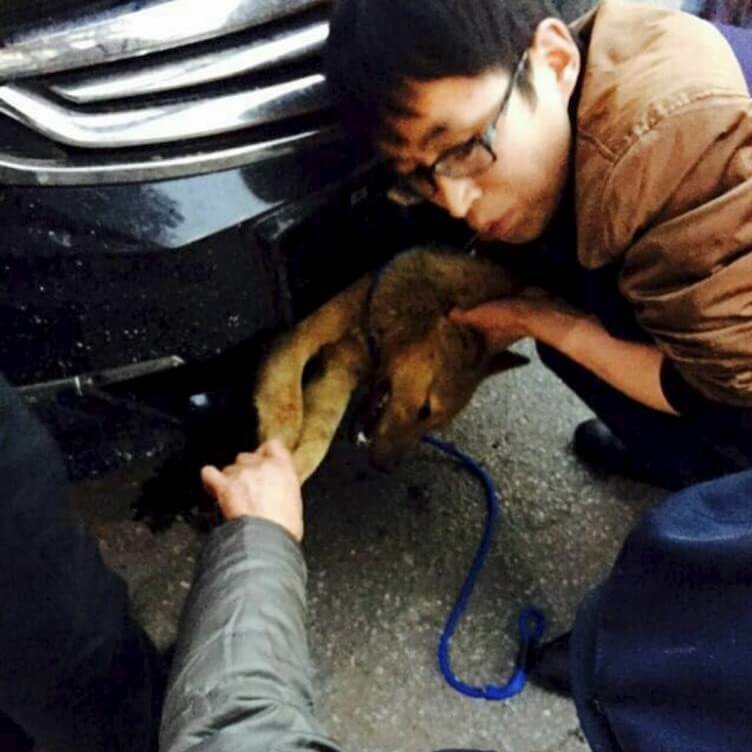 He and his friend tried to get the pup out – with huge success! Thankfully, the dog has retained a clean bill of health. Ironically, the pup is now adopted by the same man who chanced upon him!